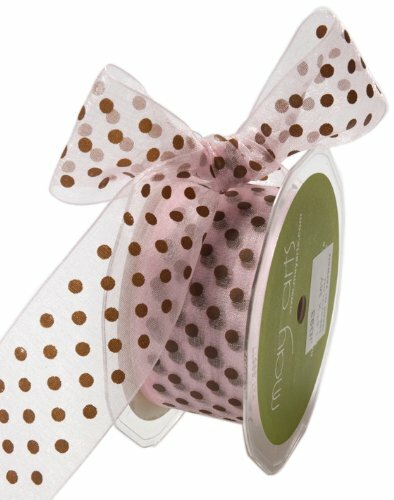 This 1.5 inch by 30 yard ribbon is sheer pink with brown polka dots. It is beautiful for wrapping packages, card making, scrapbooking, and any home décor or sewing project you can imagine. This ribbon would be lovely for floral arrangements and a great addition to your Valentine, baby or little girl and spring projects and décor.